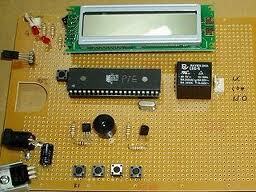 The main purpose of the topic is establishing a temperature controller. Using the 8051 single-chip and temperature sensing element to compose a control system which can set the temperature. In order to achieve the temperature idealized, the signal read in 8051 computing, analyzing, and displayed to the user and the control relay when the temperature too high or too low.